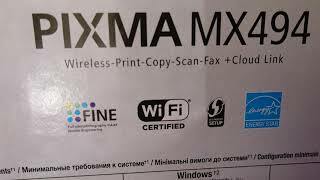 The pixma mx494 inkjet photo printer with wireless Printer is manufactured by Canon and was added around August 2017 and is part of the Canon PIXMA MX494 Inkjet Photo Printer with Wireless series. 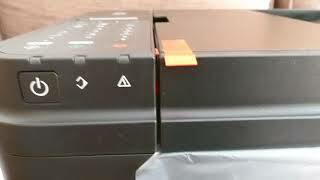 The model comes in 5 other variations including combination of Black, Grey Color , Ink Jet Printer Type , 2.4 GHZ Processor Speed GHZ , 60 HZ Refresh Rate. 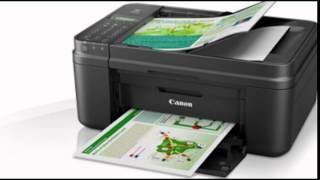 The best price for the Canon PIXMA MX494 Inkjet Photo Printer with Wireless in South Africa is R 799 sold at Hifi Corp and available with free shipping and delivery within 1-3 business days . Price has decreased 22% from R 899 on 2017-08-24 to R 699 today.